Classic two bedroom, two bathroom villa with oversized balcony for outdoor/indoor living at its finest. Custom chic finishings throughout, complete with beach gear! Ocean views from the living room and balcony. Size in/out : 1,215 sq.ft. / 215 sq.ft. Apr 21 2019 - Apr 23 2019 * 2 night special only $231/nt. May 05 2019 - May 06 2019 * 1 night special only $231/nt. May 18 2019 - May 23 2019 * 5 night special only $231/nt. Jun 03 2019 - Jun 04 2019 * 1 night special only $231/nt. Jun 19 2019 - Jun 20 2019 * 1 night special only $231/nt. Jun 26 2019 - Jun 30 2019 * 4 night special only $265/nt. Jul 11 2019 - Jul 16 2019 * 5 night special only $344/nt. Jul 23 2019 - Jul 24 2019 * 1 night special only $419/nt. Oct 01 2019 - Oct 04 2019 * 3 night special only $323/nt. Dec 18 2019 - Dec 24 2019 * 6 night special only $323/nt. 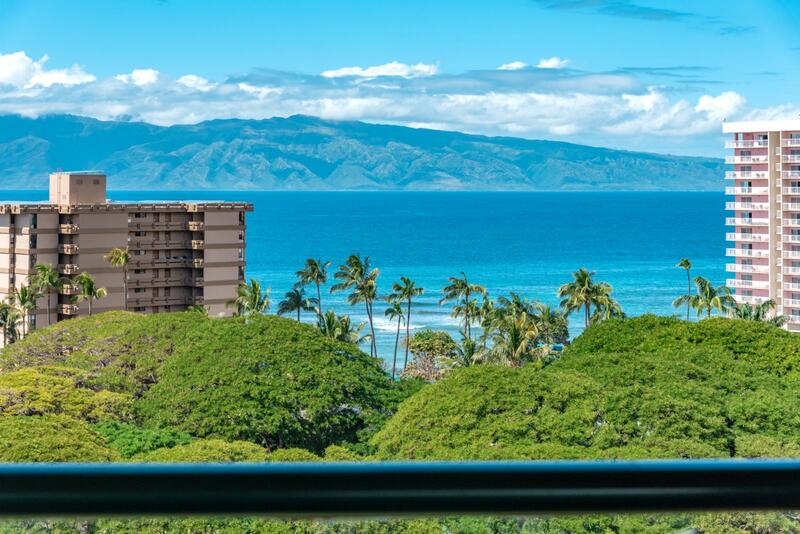 This villa is an enormous 1215 square foot plus lanai two bed, two bath villa in the newer Konea tower at Honua Kai. This is the ideal villa if you are looking for both space and view. The living space is the same size as a 3 bed in this 2 bed oversized suite. When you walk in, it has the WOW factor with the expansive 50 foot span of floor to ceiling glass views of the Maui mountains. 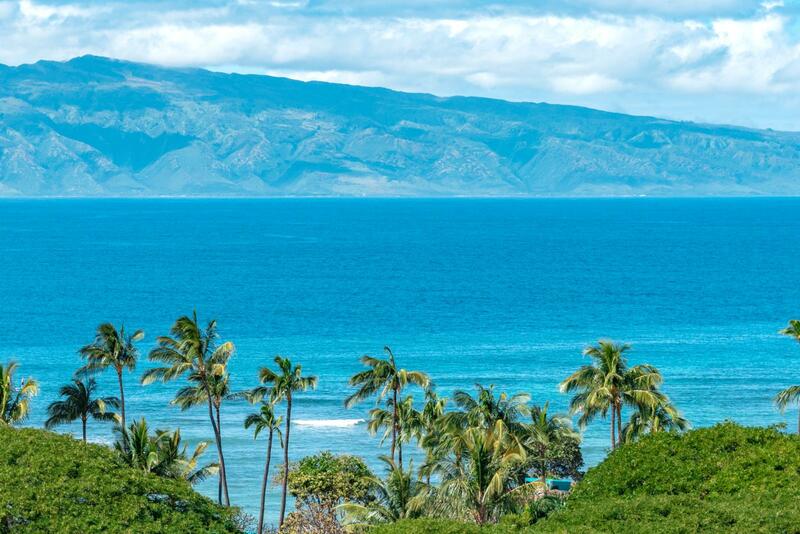 The island of Molokai, picture these jaw dropping views from your balcony Everlasting sunsets views nightly! 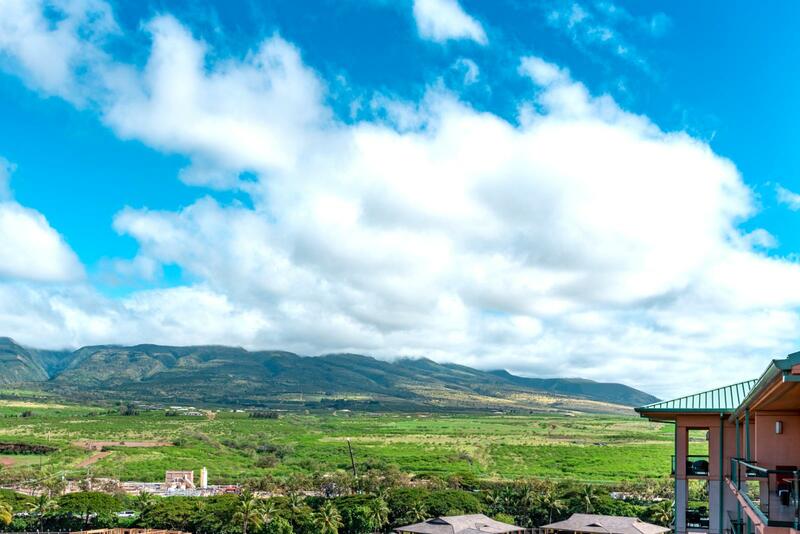 Awake every morning to the beautiful West Maui mountains! The master bedroom has a California King. The guest bedroom has a plush king size bed which can also be split into twin beds upon request. There is also a queen size sofa bed in the living room. Custom countertops with dual sinks complete with amenities LARGE counter space with dual sinks, perfect for families! This unit has a very large living room with big pieces of furniture to go along with it. Recently purchased custom media center in the living room that compliments the queen sofa couch with matching arm chairs on either side. The dining room table has seating for 6 around it. There are 3 large bar stools along the large garnite kitchen counter. Crisp ocean breezes and cool temperatures all year round Oversized balcony, perfect for families!